Future Champions Golf is proud to host 5 Annual Events that are qualifiers for the prestigious IMG Academy Junior World Golf Championships. The winter break FCG National Championship was the first qualifying event and all division champions have earned an exemption. Junior golfers ages 5-18 can qualify for this special championship. Age divisions for qualifying are 6 and Under, 7-8, 9-10, 11-12, 13-14, and 15-18. The idea behind the IMG Academy Junior World Golf Championships is simply “YOUTH.” The San Diego County Junior Golf Association is founded on the principle of serving young people, in the hope that by doing so today’s youth will have a better chance of creating the world we all want. The Junior World tournament is an international extension of that principle. We believe that by bringing together young people from all parts of the world and all parts of our nation, we are helping to bring about greater understanding among people of differing cultures and values. ***The winner in each division at each of these events earns an Exemption to play in the 2019 IMG Academy Junior World Championship! In its inaugural year, 475 juniors participated in the event representing seven countries and 20 states. Today, the tournament has grown to 1200 participants representing 56 countries and 42 states. 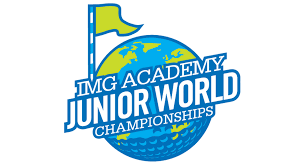 The IMG Academy Junior World Golf Championships is the largest international event in the world and is unique for its international representation and cultural diversity.